Delawareans afflicted with a variety of chronic and painful conditions would be able to legally use medical marijuana to ease their suffering under a bill now under consideration in the Delaware State Senate. Sen. Margaret Rose Henry (D-Wilmington East), said her bill isn’t an outright decriminalization of marijuana and is aimed at balancing compassion for the sick with maintaining tight controls on access and the amount of marijuana a person can have. • Limit patients to six ounces of marijuana a month. 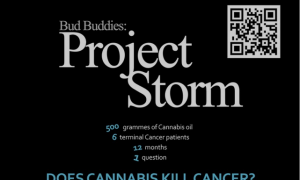 • Require patients, people designated as caregivers and personnel at the “Compassion Care Centers” where pot could be distributed to have state issued ID cards authorizing their ability to access marijuana. The non-profit centers could not be operated within 500 feet of an existing public or private school. • Require that marijuana be cultivated in enclosed, locked facilities with security systems to prevent theft. • Ban employers from firing an employee receiving medical marijuana if they fail a drug screening. However, employees could be fired for working under the influence of marijuana. • Prohibit the use of marijuana in public places, on public transportation, in schools and in prison. Dr. John Goodill, chief of pain and palliative medicine at Christiana Care, said he supports Henry’s bill because it’s based on a proven model that’s produced good results for patients. Joe Scarborough of Wilmington has used marijuana to ease the side effects of the drugs he takes to combat the effects of AIDS and to ease the pain in his leg and foot from nerve damage caused when a cancerous tumor was removed from his back. He praised Henry for taking on the issue and focusing it on using marijuana for medicinal purposes, instead of pushing for options, such as blanket decriminalization.